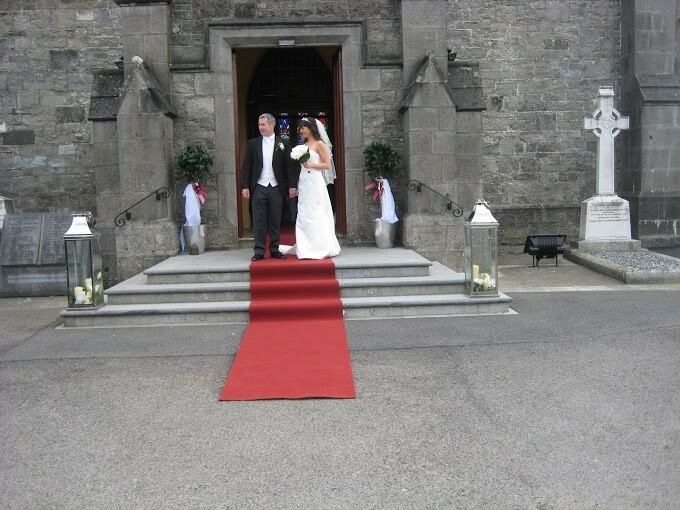 Red Carpets Hire has been in business since 1985 and has seen many thousands of brides and grooms walk down the aisle. 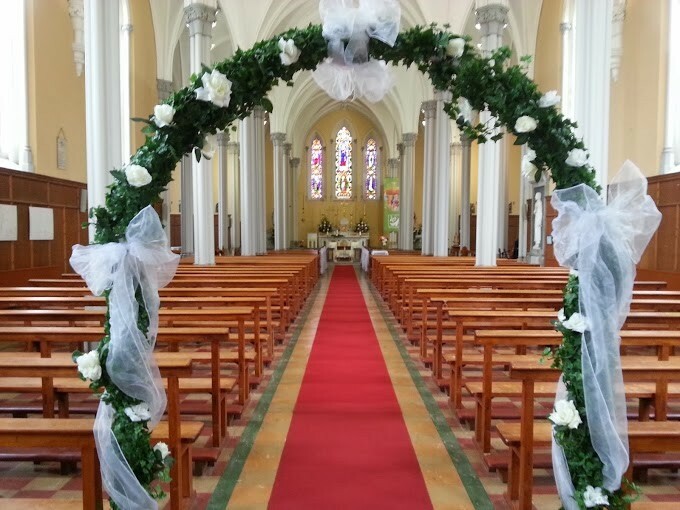 We are based in Greystones, north Co. Wicklow, but with the M50 and improved network of roads around the province, have travelled far and wide rolling out the red carpet and providing a much-desired service to many couples on their big day. 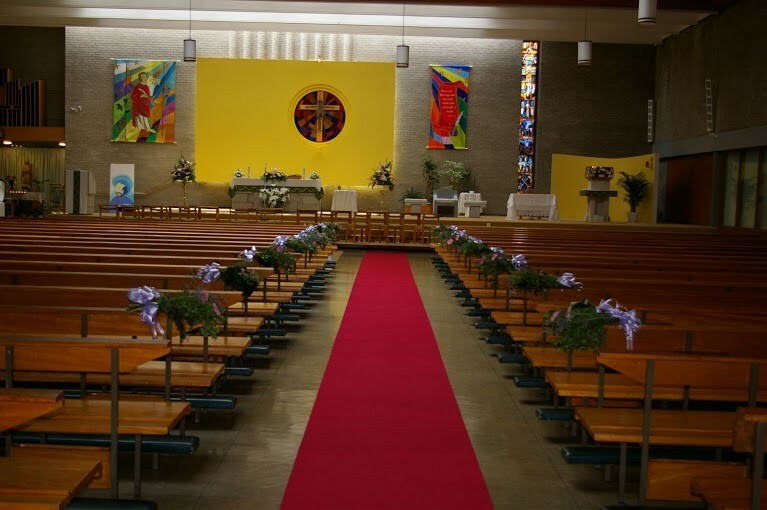 We provide the finest quality red carpets / aisle runners to suit all types and sizes of churches. They come in various widths, lengths and even textures, as we know that there are some unusual and quirky churches out there. 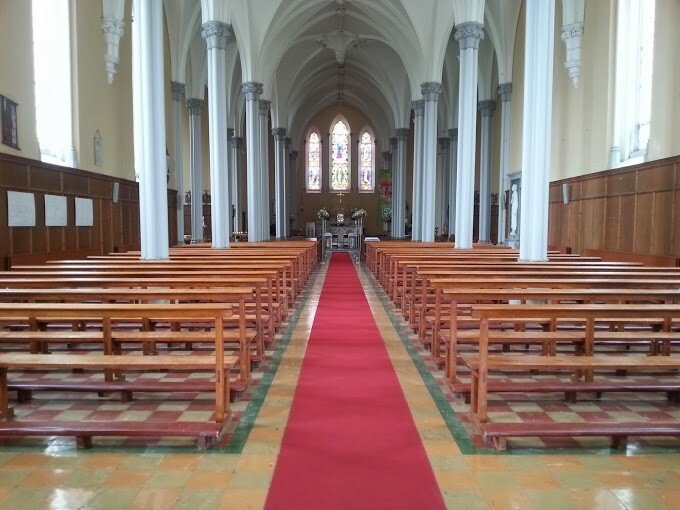 All you need to tell us is the date, time, name and location of the church and what type of floor covering the church has i.e. tiles, carpet, stone etc. We also have public liability insurance in place for your protection and peace of mind. This is a pre-requisite of many churches these days. 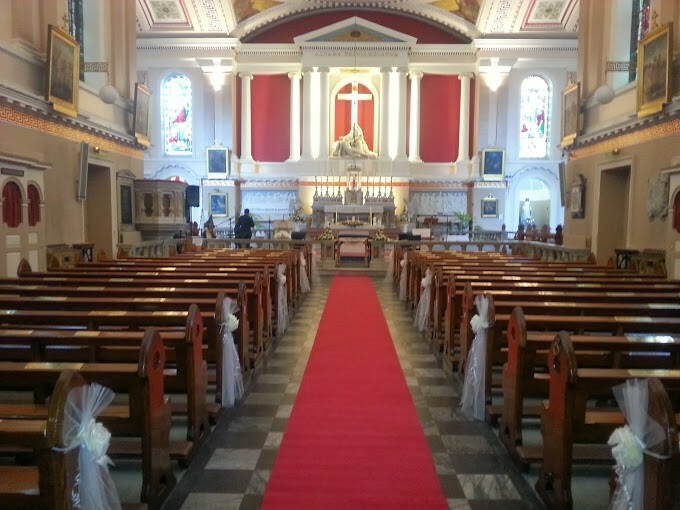 We know how important timing and planning is on the wedding day, so we ensure that the carpet is laid an hour before the wedding (well before the groom arrives!) and then we don’t remove it till the wedding party has departed. We also offer a ‘self-collection’ service, whereby, for a reduced rate and a deposit, it may be possible to collect and lay the carpet yourself. Our public liability insurance does not cover self-laying. 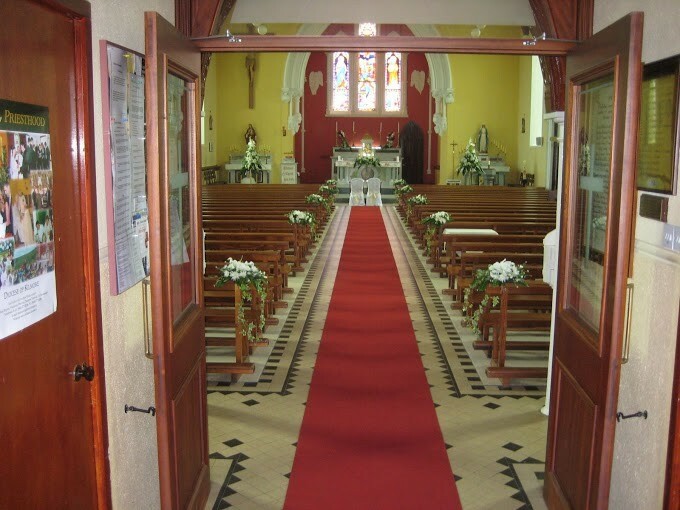 The carpet can be returned to us on a pre-arranged date following the wedding. Instructions and advice will be given on how to lay the carpet correctly to the individual on collection. We got a spotless Red Carpet from Michael in August. 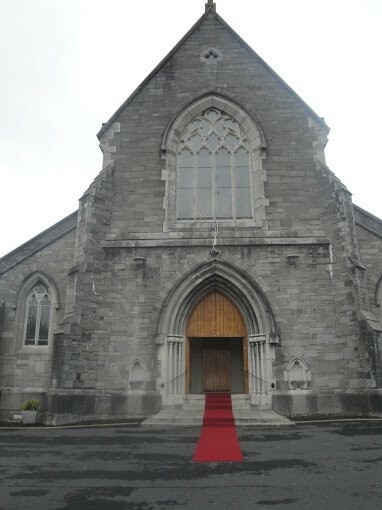 It really finished off the Church, and looks great in the photos. Michael was very easy and relaxed in our dealings, and we found him absolutely great value. 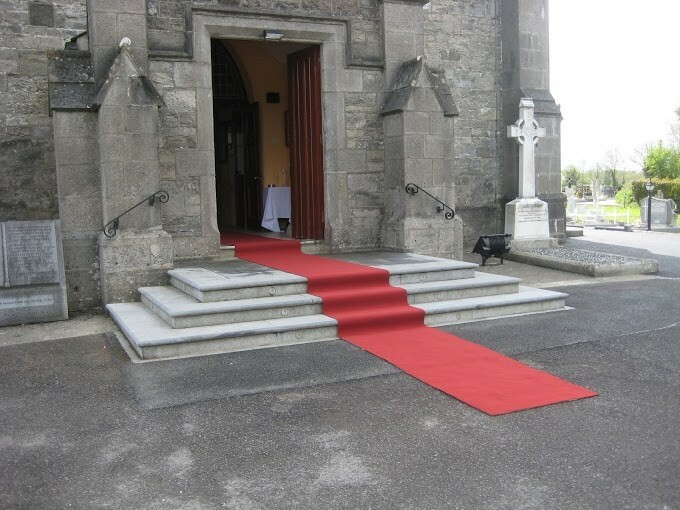 We ordered red carpet from Michael Sheerin. 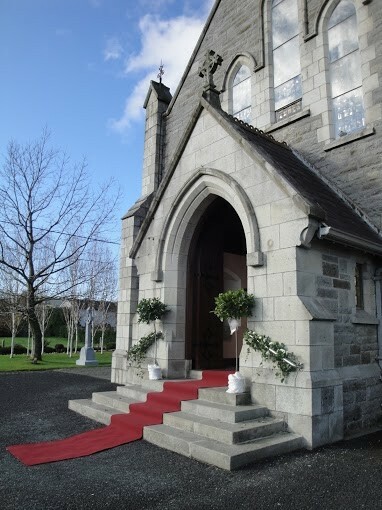 I really liked how it looked coming down the steps of the church. It was laid out well before my husband and groomsmen arrived. Afterwards, they did not rush anyone about to remove it either. Everyone was gone before it was touched. It was spotless too. Would definitely recommend. Very professional and lovely to deal with. 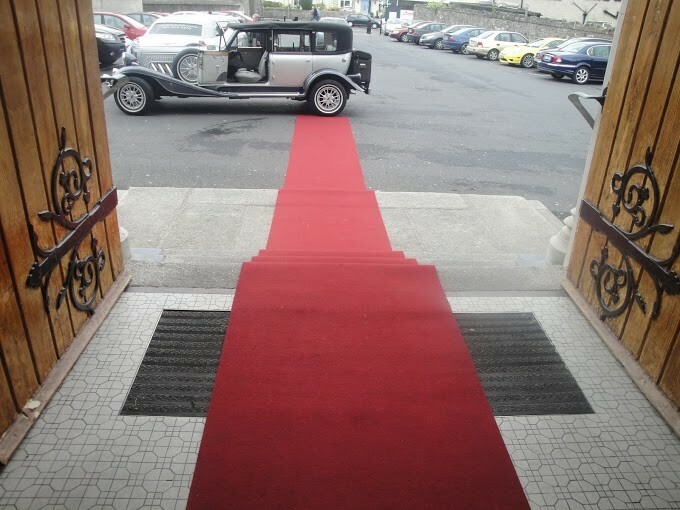 The carpet was perfect and there on time which helps!